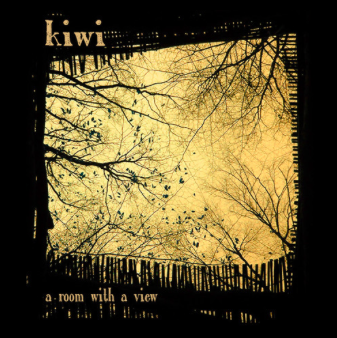 VP Records' subsidiary label and distribution arm VPAL Music will release Jersey City reggae-fusion ensemble Kiwi's third full-length album A Room With A View on August 28, 2015. Kiwi finesses their melodic approach and strips down their sound to its rawest, most rhythmic elements on the new album. Rooted in reggae rhythms and tropicália-inspired melodies, Jersey City-based Kiwi dynamically blends jazz and soulful grooves into a uniquely uplifting sound. A Room With A View combines syncopated roots rhythms with outside influences that span decades and circle the globe. Founding member/vocalist Vera Sousa returns to add harmonies to lush tropicalia-influenced tracks like "Trees" and "February," and the new lead singer of The Wailers Josh David Barrett guests on the muscular roots track "As I Am." On party-starters like "New Year Steady," vocalist/guitarist Alex Tea, drummer Ramsey Norman and bassist Steve Capecci are also joined by musicians and friends from their travels as well as homestate. Kiwi's experimentation calls to mind reggae's early period, when new sounds played with and against each other over a steady rhythm. Once again recording with engineer and producer Jason 'Jocko' Randall (John Brown's Body, Thunder Body, Turkuaz), Kiwi harness the steady grooves of roots reggae while exploring new intersections between classic Caribbean, Brazilian, and American funk & soul music. Drawing lyrical inspiration from songwriter Alex Tea's experiences within Jersey City's music scene, the songs on A Room With A View chime with a melancholy that evokes the soul giants of the 70s. Victor Rice, founder of Total Running Time raved, "Kiwi has created a sonic refuge for listeners of reggae...you are going to dance and you are going to get laid to this." After over a decade of entertaining audiences around the Northeastern U.S. and Brazil, Kiwi continues to cause a stir with some of the New York City area's finest soul and funk musicians. The band, which includes Alex Tea (vocals, guitar), Ramsey Norman (drums), Steve Capecci (bass), Mike Torres (percussion), Dave Stolarz (keys), Barami Waspe (tenor sax), and Rob Edwards (trombone), has been invited to share the stage with veteran reggae/ska acts including the Pietasters, John Brown's Body and Groundation. Much of Kiwi's pan-global approach to music is inspired by the time that primary songwriter Alex Tea spent in Brazil, beginning with a trip to the ocean-side city of Fortaleza over a decade ago. It was in Fortaleza that Tea first fell in love with the Portuguese language and capoeira, the Brazilian martial art that combines exuberant dancing and singing with powerful strikes and take-down maneuvers. "What drew me into capoeira was the sense of community among everyone involved," says Tea. "Each roda [capoeira exhibition/match] had a live soundtrack that featured instruments, melodies, and cadences that I had never heard before, but seemed so familiar." It didn't take long for Tea, the grandson of a classical violinist, to incorporate Brazilian rhythms and instruments, as well as Portuguese lyrics, into Kiwi's music. In addition to hundreds of club and dancehall performances, Kiwi has also performed at a variety of music festivals and community events across the country. They are also proud to be an active and vibrant presence in their home base, the Jersey City arts scene. Expanding on a burgeoning American following, Kiwi also has a growing fan-base in Brazil, where they have embarked on several tours.